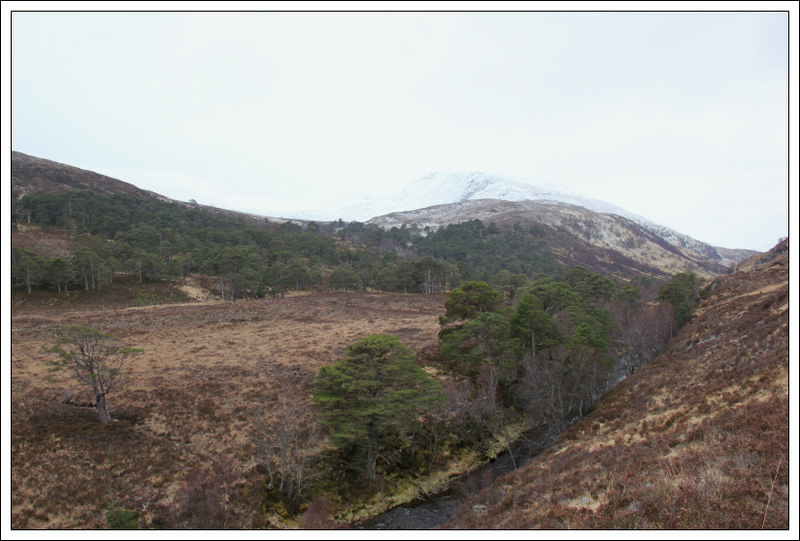 I set off this morning to Glen Strathfarrar, to take advantage of the final day of time-unlimited winter access before the return of the gatekeeper. On arriving at the gate, I got out to open the combination lock. On entering the code, instead of the padlock opening, the padlock fell to bits! 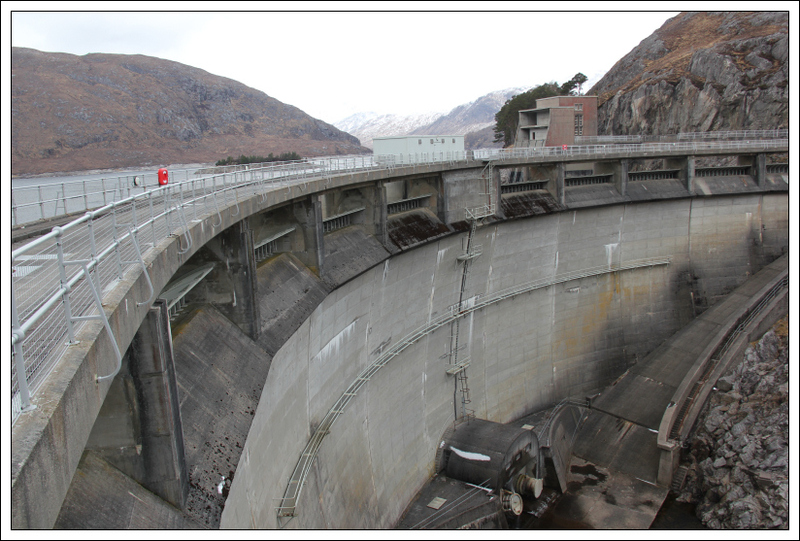 Once through the gate, I drove to the road-end where I parked beside the Monar Dam. 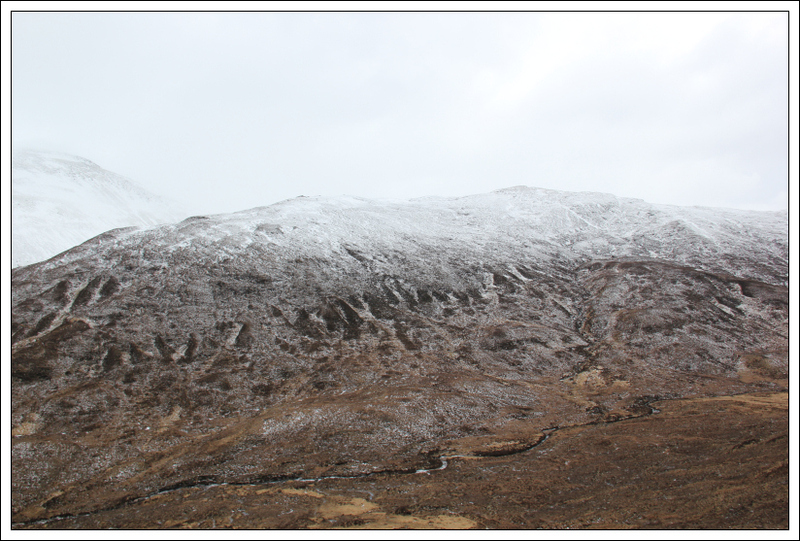 ii) ascend Meallan Odhar Doire nan Gillean and Beinn Dubh an Iaruinn. Due to the weather, I eventually opted for ii). 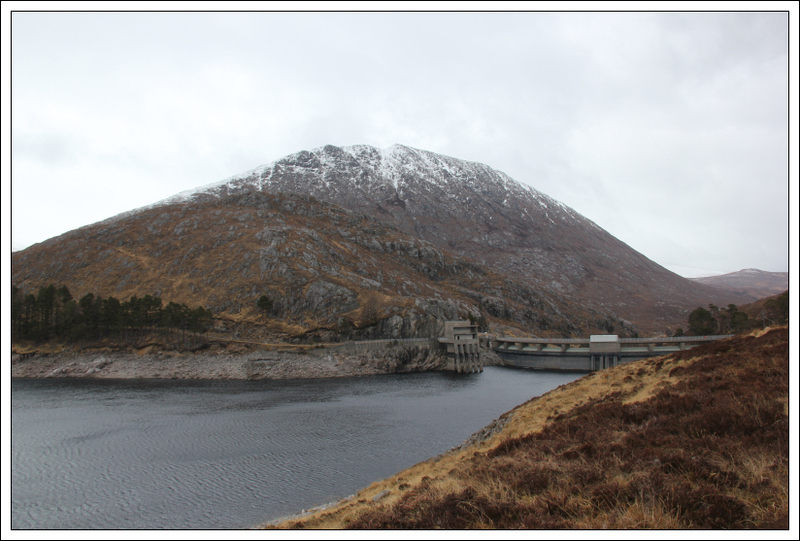 After crossing the Monar Dam, I skirted round the base of Meall Innis an Loichel, a very easy Sub2000ft Marilyn. 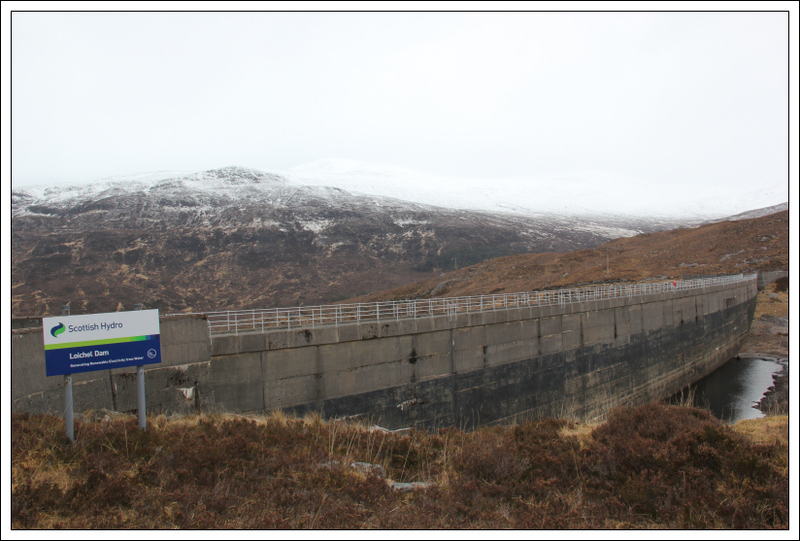 After walking a few hundred metres, I also crossed the Loichel Dam. 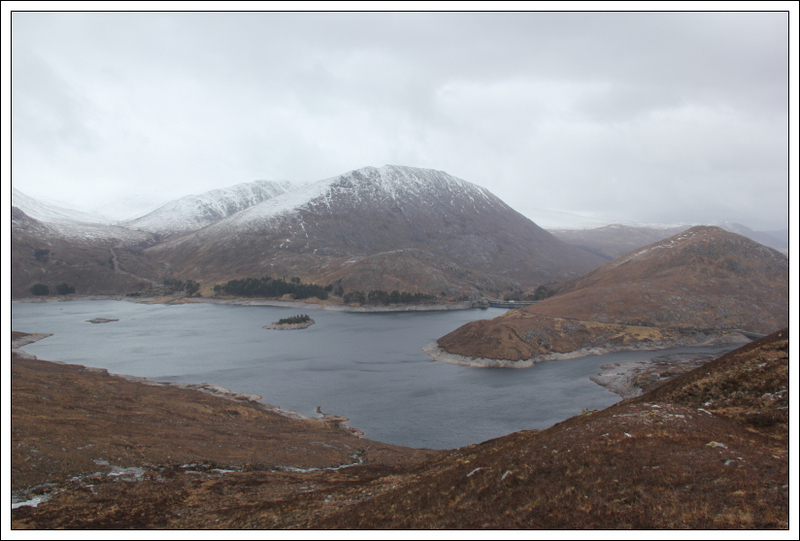 Beyond the Loichel Dam, I made my way along Gleann Innis an Loichel. 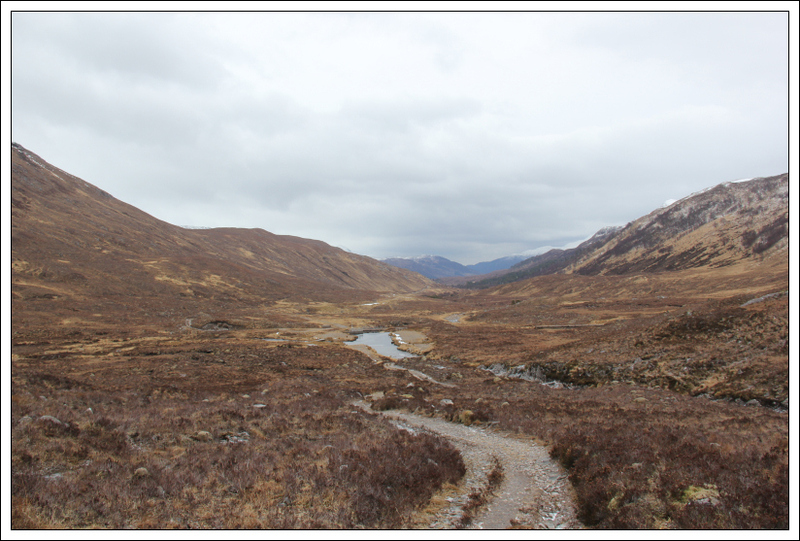 Today was the first time that I have walked in this glen. 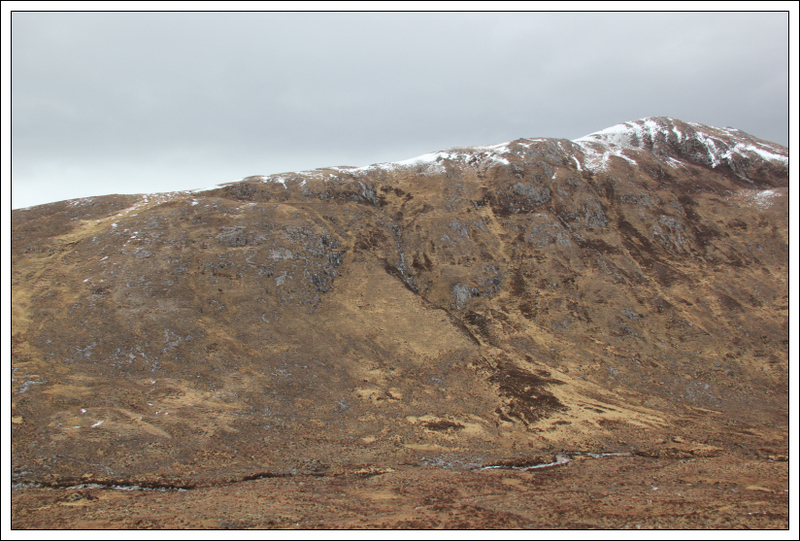 I think it would be nice to ascend the Mullardoch Munros from this glen instead of using the standard approach from Loch Mullardoch. 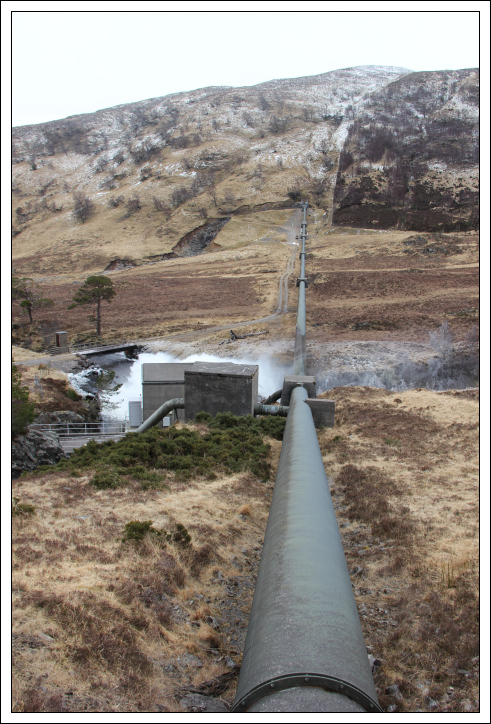 After walking a couple of kilometres along the glen, I arrived at the Uisge Misgeach Power Station. 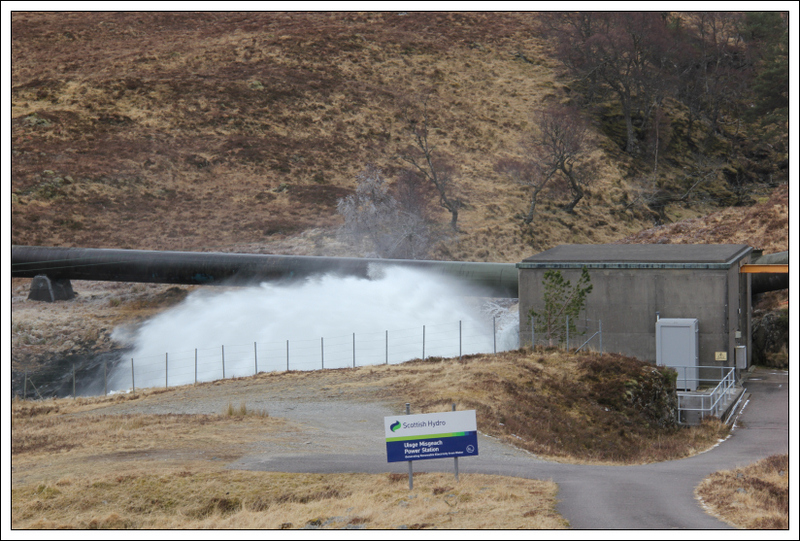 An impressive jet of water was coming from the power station outflow. Until now the wind was not much more than a strong breeze. 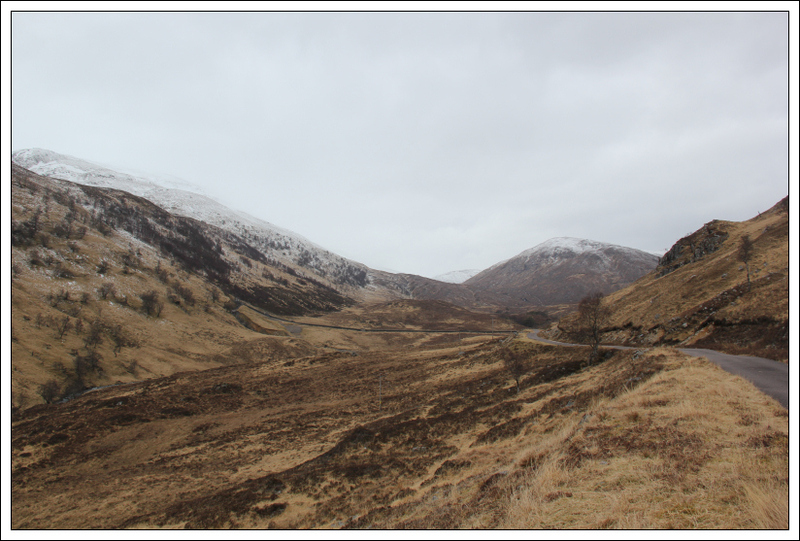 As I progressed further along the glen, the wind began to increase significantly. 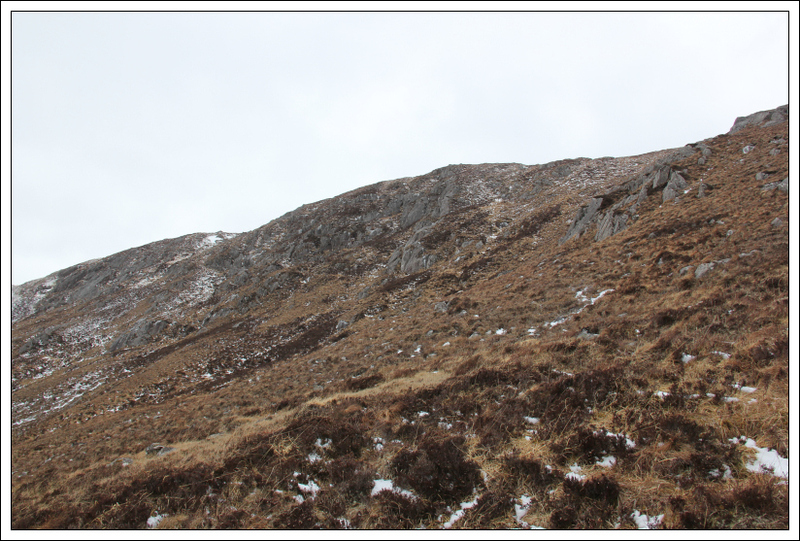 On reaching the start of the South-West ridge of Meallan Odhar Doire nan Gillean, I decided to ascend it, instead of continuing on towards An Cruachan. 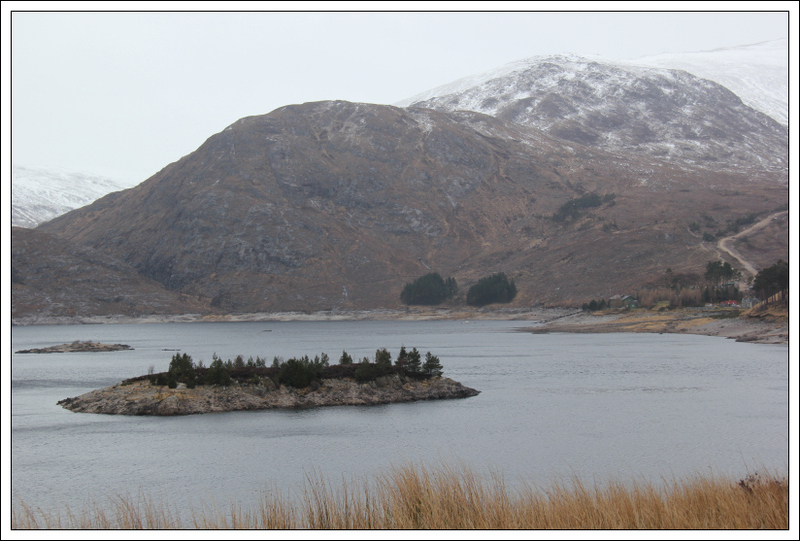 The wind was now gale force and was to get much worse. 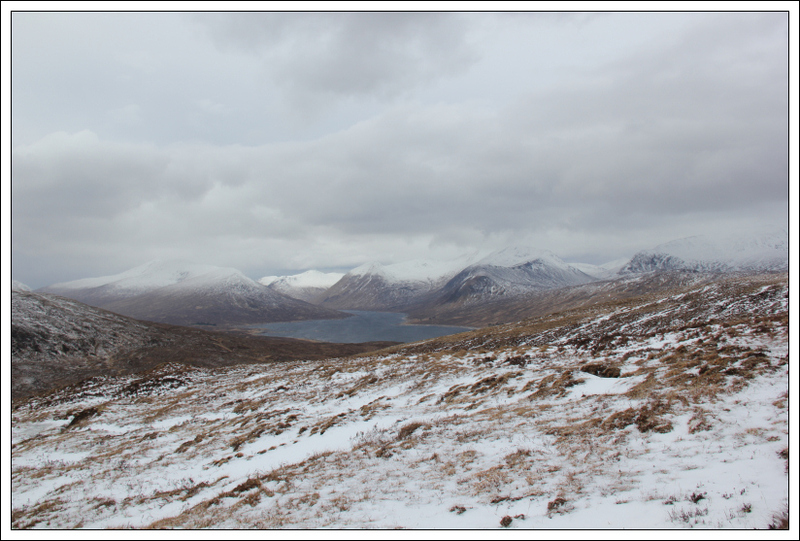 By the time I reached a height of 500m, the wind was fairly strong. Out of nowhere a really strong gust picked me off the ground and dropped me several metres away. 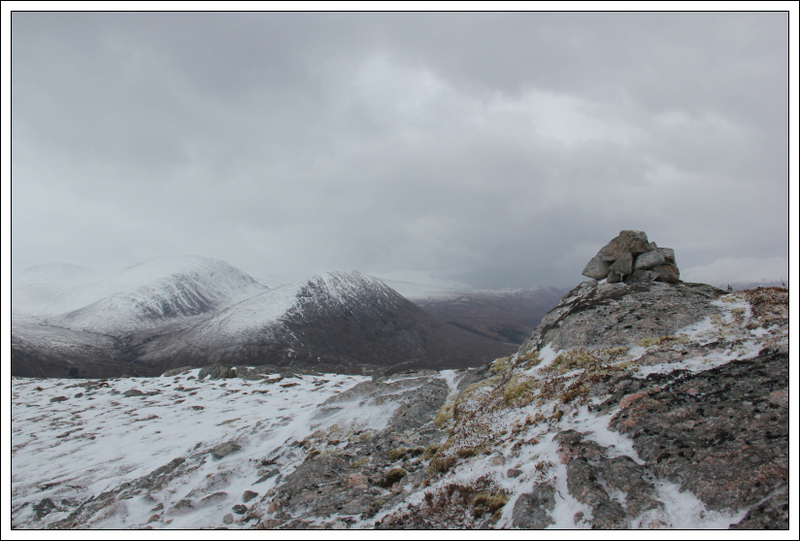 Despite the wind, I continued on to the summit of Meallan Odhar Doire nan Gillean. 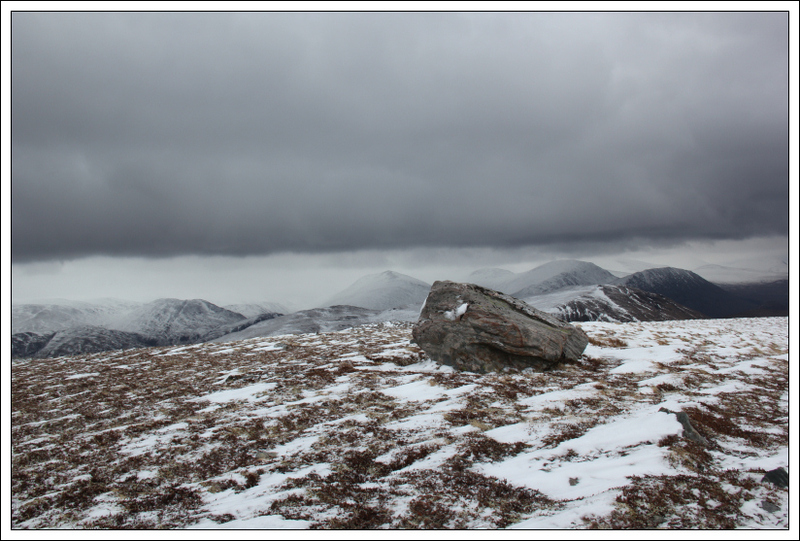 I sheltered behind the summit boulder for about 30 seconds before continuing on. 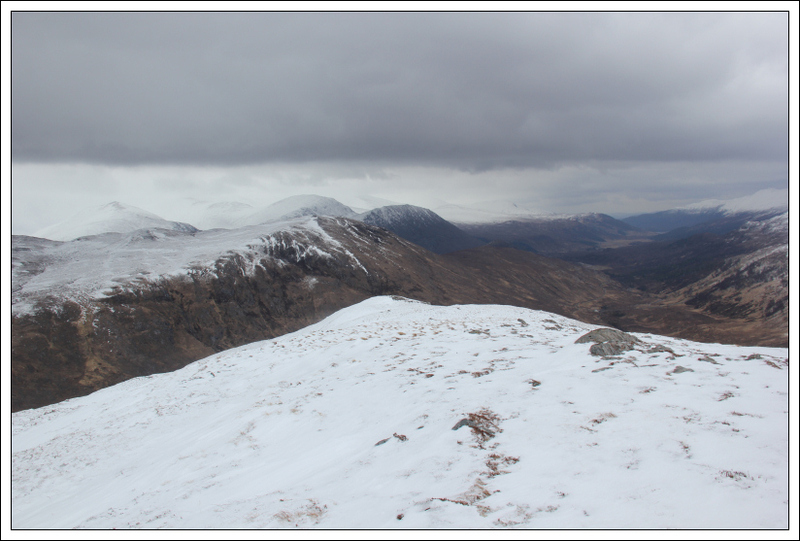 The descent of the North-East ridge of Meallan Odhar Doire nan Gillean was straight-forward albeit I missed the path. 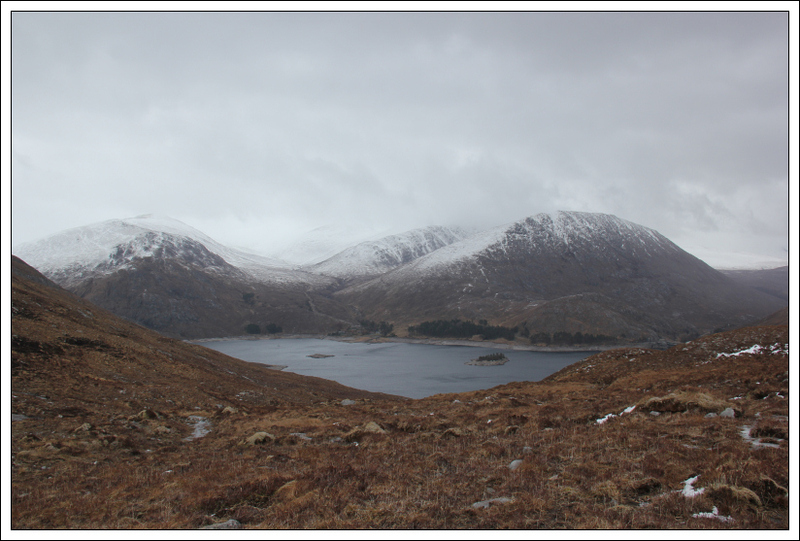 On reaching the col between Meallan Odhar Doire nan Gillean and Beinn Dubh an Iaruinn, I decided to continue on to also ascend Beinn Dubh an Iaruinn. 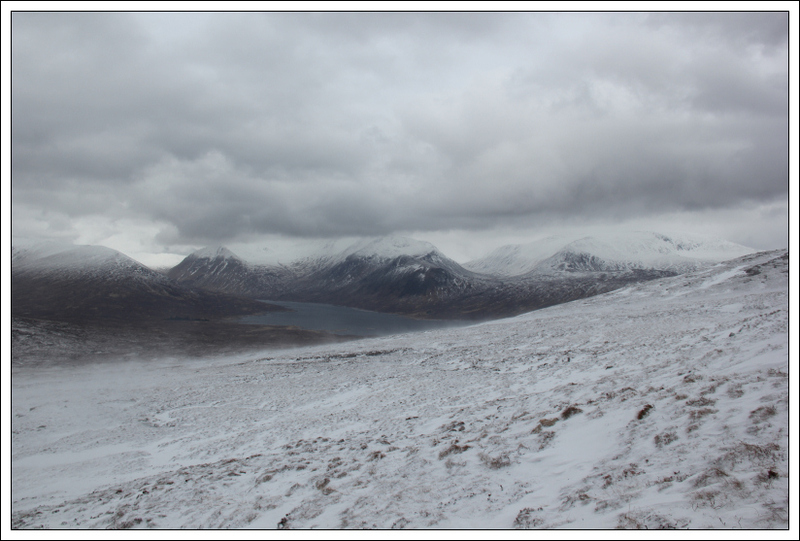 The wind was deceptively calm at the col. I ascended via a section of short grass which made for fast progress. 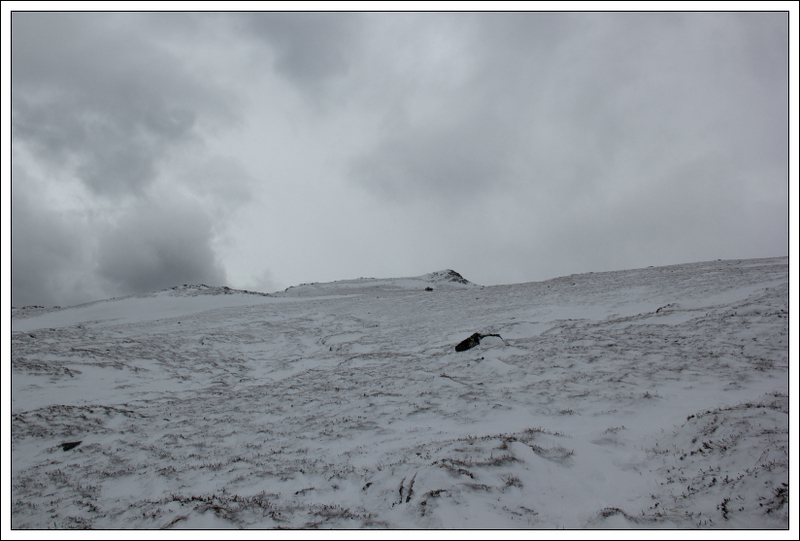 Again on reaching a height of 500m, the wind was ridiculously strong. The forecast today was for 90mph gusts. I wouldn’t be surprised if this forecasted speed was correct. 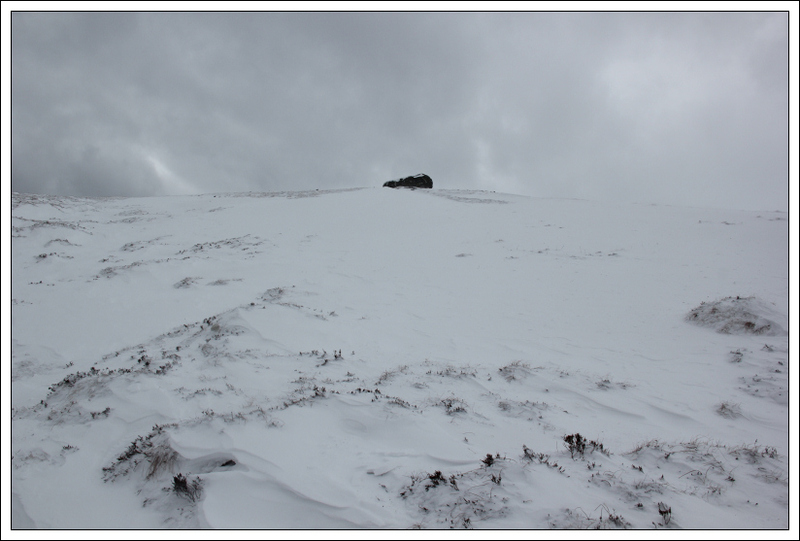 As I made my way from the 588m top towards the summit, I was blown over onto the ground twice. There is no way I would have been able to progress had I not had my ski goggles with me. 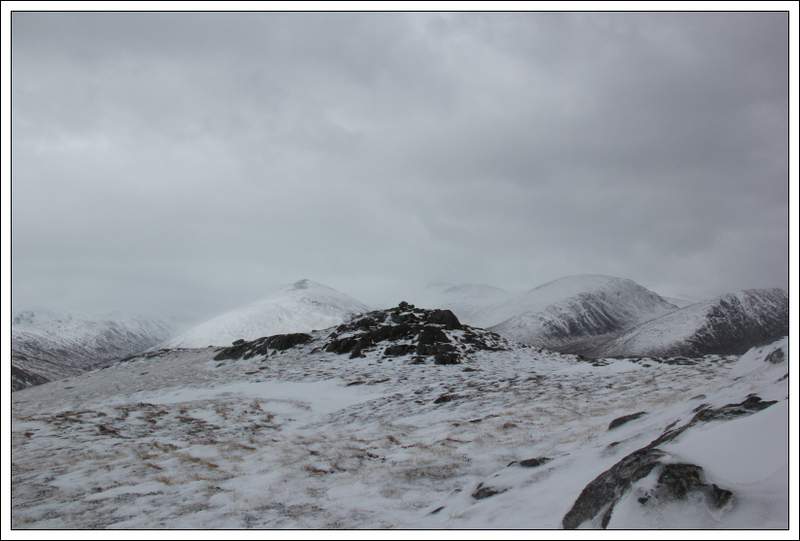 A short distance from the summit, I saw something come flying towards me but it was too late to avoid it. A small lump of ice come flying through the air and hit my ear. I’m glad that my hat was covering my ear as my hat probably stopped my ear from getting cut. It still hurt! There was no hanging around at the summit. 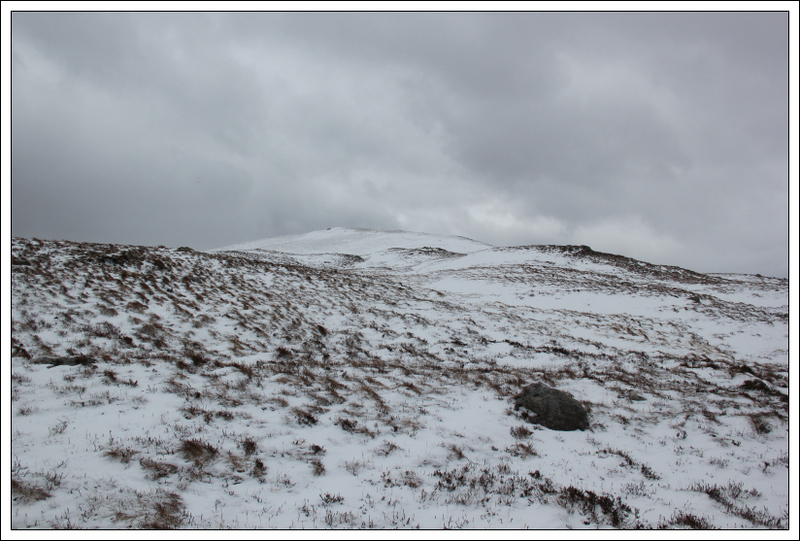 I crawled the final few metres to the cairn and then was happy to start losing height. 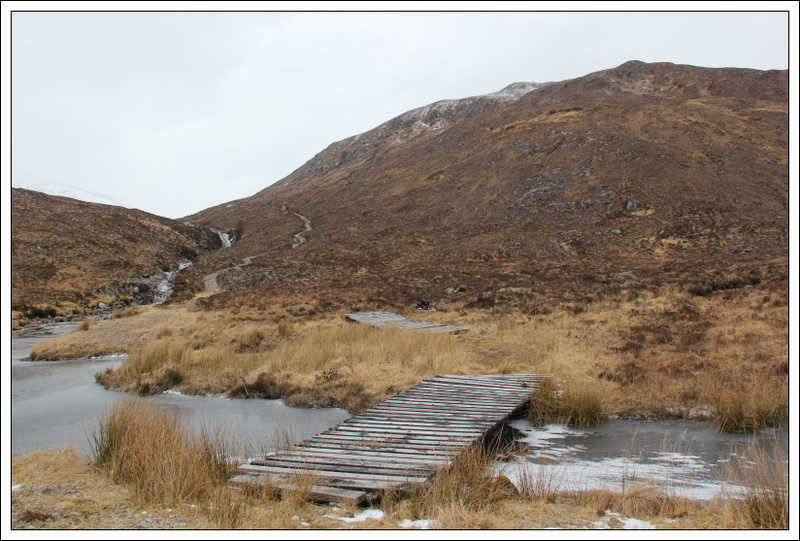 I made up my descent route as I went along. After dropping circa 150m, the going was less unpleasant. 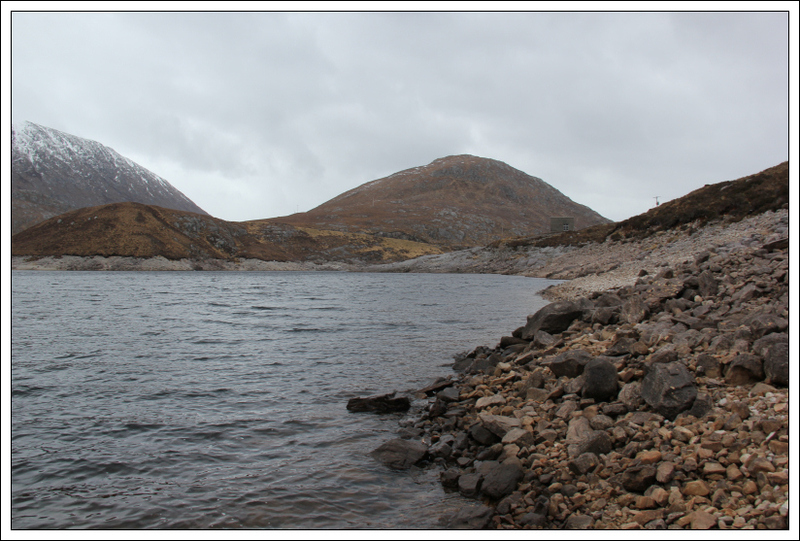 I descended to the shore of Loch Monar circa 200m from the start of the track leading towards the Loichel Dam. From there, it was an easy walk back to the car. 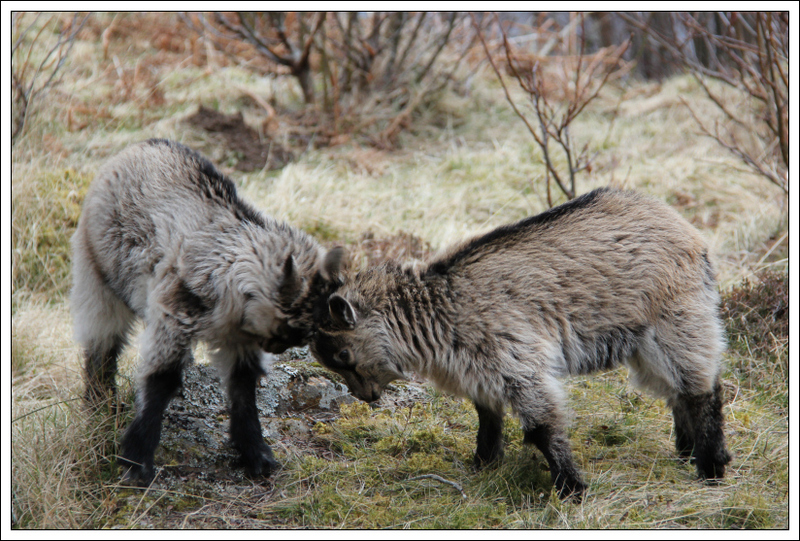 On driving back along the Strathfarrar road, I stopped to take some photos of wild goats. 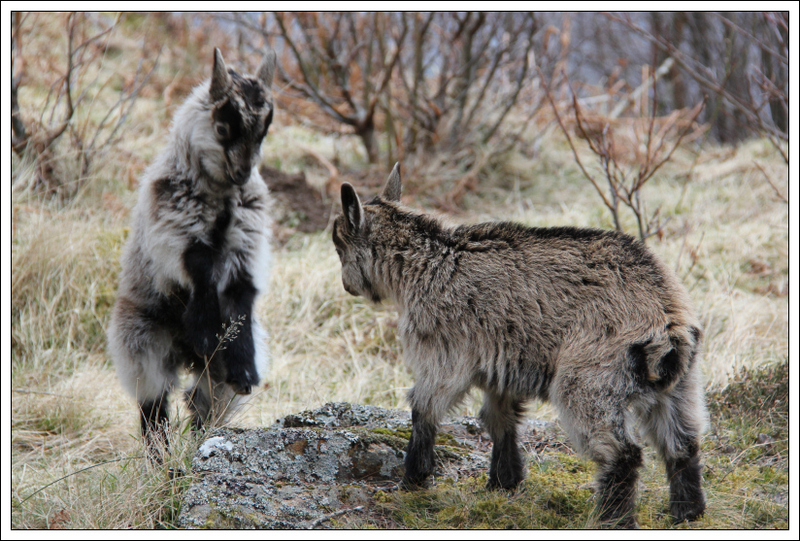 I initially only saw adult goats but was pleasantly surprised to also see several kids. I stood watching two kids playing for several minutes. The first kid head-butted the second kid. Then the second kid head-butted the first kid. 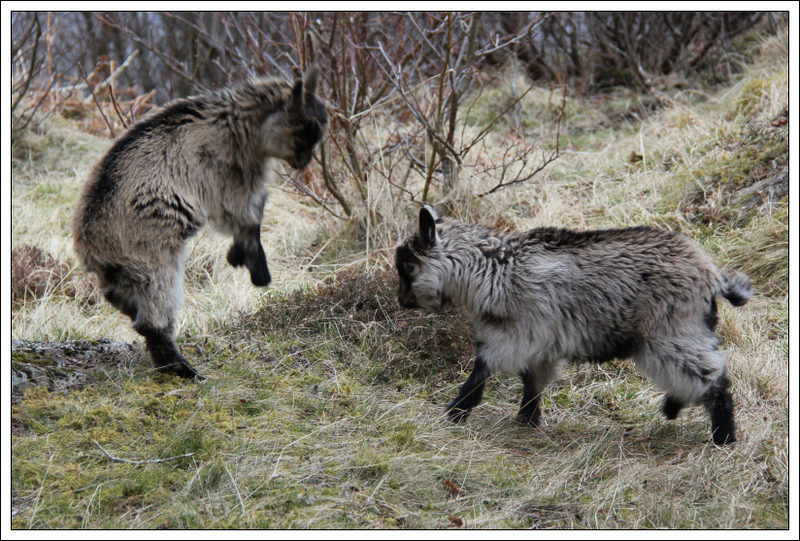 Then they both started jumping in the air head-butting each other at the same time. It was great to watch . I definitely can’t say this was a pleasant day out. I’m glad I only ascended to 600m. Going any higher today would have been even crazier than this .